A sunny view from the new hide at RSPB Gruinart, looking out towards the dunes at Killinallan. 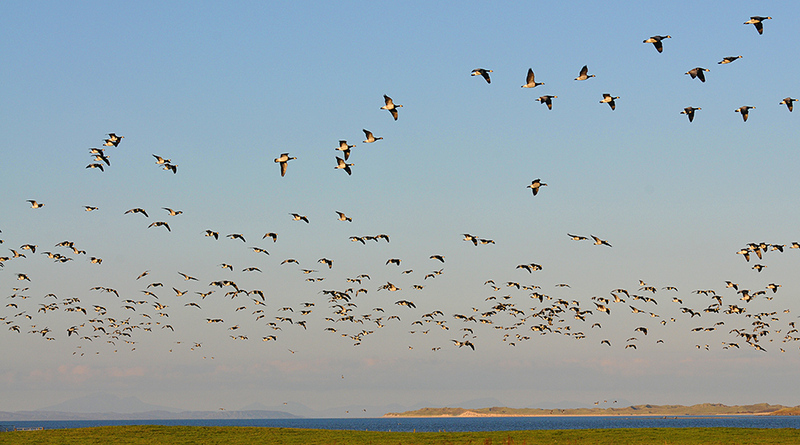 Barnacle Geese flying past having been spooked by something. Mull (with Ben More) and Colonsay also just visible in the haze in the distance. This entry was posted in Beaches, Landscape, New Post, Sea Loch, Sunny Weather, Wildlife and tagged Barnacle Geese, Colonsay, Gruinart, Islay, Killinallan, Killinallan Point, Loch Gruinart, Mull by Armin Grewe. Bookmark the permalink.